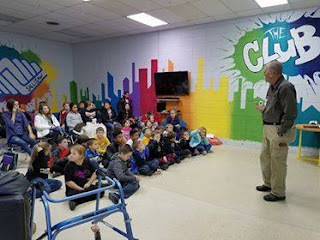 Steve Rutherford, Sequoyah County Emergency Management director, was the first guest speaker for the Boys and Girls Club of Sequoyah County CareeerLaunch program. The Boys & Girls Clubs of Sequoyah County have launched a new program – CareerLaunch. CareerLaunch is national, and encourages club members to assess their skills and interests, explore careers, make sound educational decisions and prepare to join the nation's work force. Club staff or volunteers help teens build their job-search skills and job readiness by using the CareerLaunch Facilitator Guide and working with teens individually or in small groups. The CareerLaunch page provides club members, staff and volunteers with online career exploration, college and job search information and interactive activities. Mentoring, job shadowing and training opportunities round out the program. Steve Rutherford, Sequoyah County Emergency Management director, was the first guest speaker for the CareerLaunch program at the Boys & Girls Club of Sequoyah County Sallisaw Unit on Dec. 8. Crystal Beller, unit director, said Rutherford talked about several emergencies that had occurred in Sequoyah County recently including the train derailment near Central School, flooding and the swift water rescue of two people on inner tubes during the floods. He detailed the things that were involved in dealing with emergencies and how to stay safe during a time of great stress. Rutherford encouraged the members to pay attention to local television and radio instructions when disasters present themselves and to always be prepared in case of an emergency. The members had numerous questions about planning for disasters which Rutherford was happy to answer. Beller said the club is seeking volunteers who would like to discuss their careers with the teens. 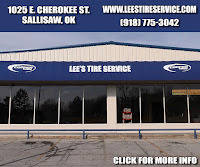 Anyone who would like to be a guest speaker for the CareerLaunch program, is asked to call 918-776-9117 or 918-775-4659.